I recently went fishing with my Dad and brought back a boatload of silver salmon. 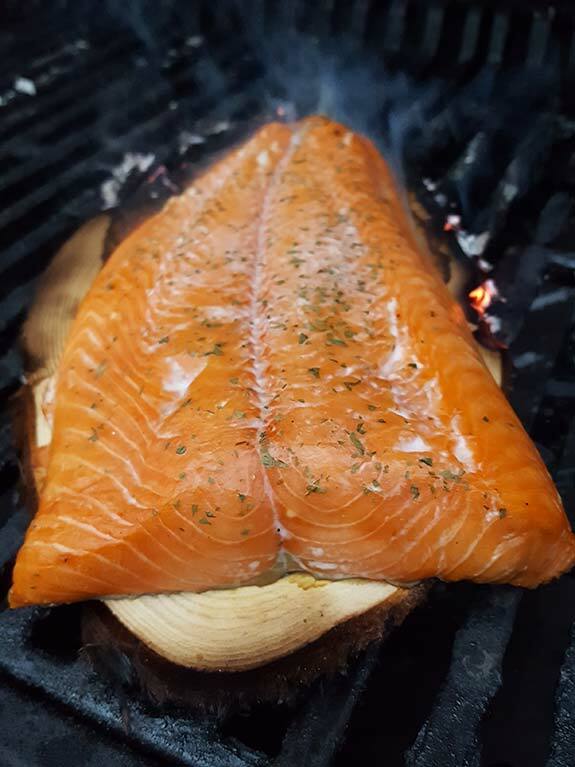 I put some of that to good use this weekend, and cooked it on a cedar plank at a friend’s house. 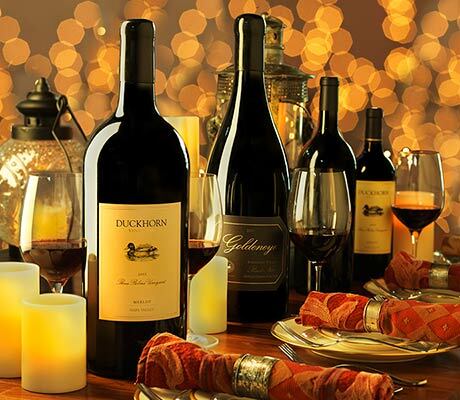 I served it with our 2014 Duckhorn Vineyards Napa Valley Chardonnay, and both were incredible! The smoky, herbal aromatics of the cooking fish and cedar brought out the fruit and mineral components of this delicious wine, which in my opinion is our best effort yet. Nice job Renee and team! The old adage goes “you can’t make good wine without good grapes”. 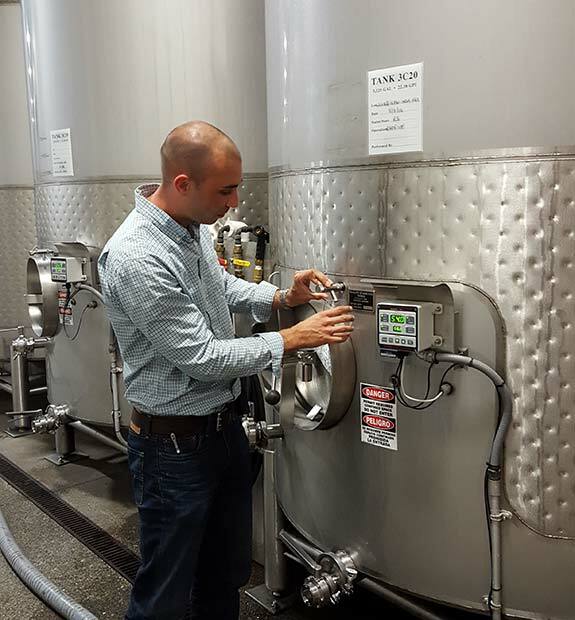 One of the most important decisions a winemaker makes during the process is harvest date. While much of the quality is determined by the growing season and farming practices, pick date and ripeness level strongly impact wine style. Pick earlier and you might get a more lean style which may take more time to open up and have a longer aging cycle. Pick later and get a broader midpalate, riper fruit flavors, and potentially some raisined character if you take it too far. Here Tyson Wolf, our Decoy Winemaker, spends some time explaining his philosophy to his team. 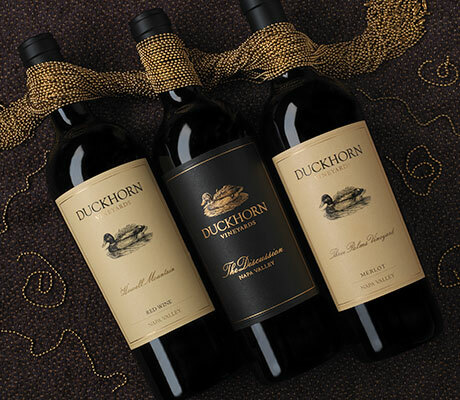 There are a few folks at Duckhorn Wine Company who’s commitment, intelligence, and energy make a truly outsized impact. One such star is Jacob Mauney, Operations Manager at our Deocy facility. 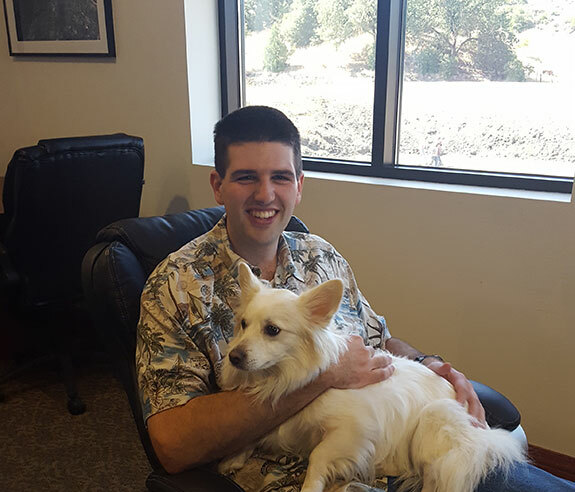 Jacob has worked with DWC in various capacities since the harvest of 2010, when he was our Sonoma County intern. Since then he has risen through ranks, always professional, always full of good ideas, and always bleeding the Duckhorn blood. His excellence in all things has made him an indispensable part of the team, and I am so grateful for all his hard work and care. Here he is with Malcom (The Chairman) Boblet, the fluffy mascot of the winery. Harvest days are long, as you have gathered often from this blog and others. Up at the Decoy facility the team blows off steam via the age old pastime of foosball. While walking the cellar one often hears screams of joy and despair as titanic struggles unfold on the table. There are few foosball jedi’s in the group who make the rest of us look pretty sad. 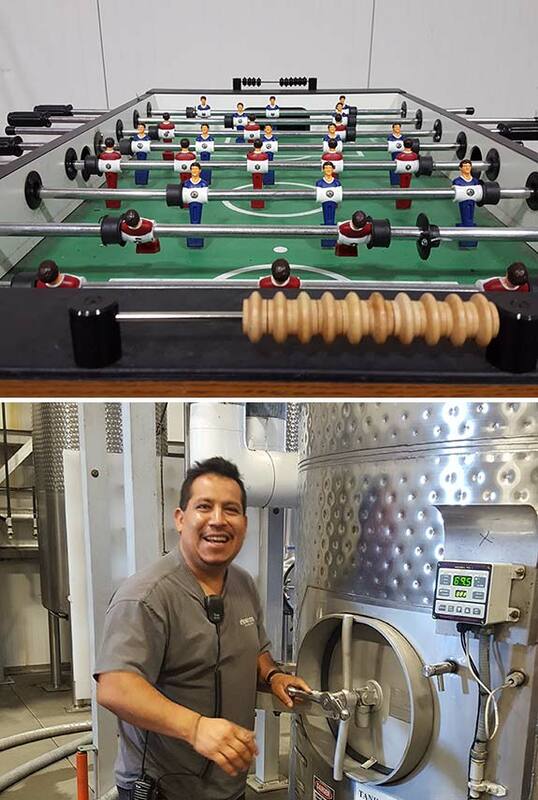 If you ever have some extra self-esteem you are looking to get rid of, I recommend playing Efrain Cardona, our normally kindhearted cellar master. Fall is a special time not just for grape growers, but for the other farmers of the North Coast. Sonoma County is still the home of many different crops, despite the significance and success of wine grapes over the past 40 years. 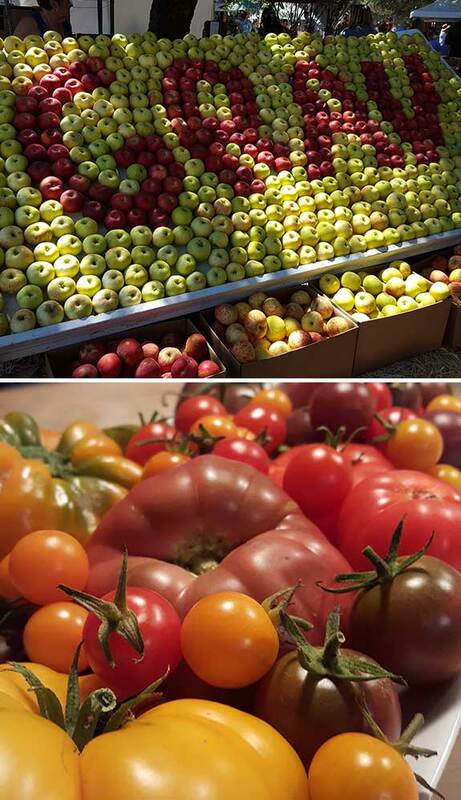 Apples, dairy, and a small but potent organic fresh vegetable segment are keeping the term ‘diversified ag’ alive. In West County, the Farm Trails organization has been extremely active promoting our ag heritage, culminating in the Gravenstein Apple Fair, a down home and fun event for all ages. If you haven’t been, I highly recommend it! New barrels are an incredibly important part of winemaking. They have to be well made, seasoned appropriately, and used to age appropriate wines. Oftentimes less is more when it comes to barrels, as an over-oaked wine covers the underlying beauty of the grapes, masking the unique properties of a given wine. Barrels are also crazy expensive, though the recent devaluation of the Euro relative to the dollar has helped. 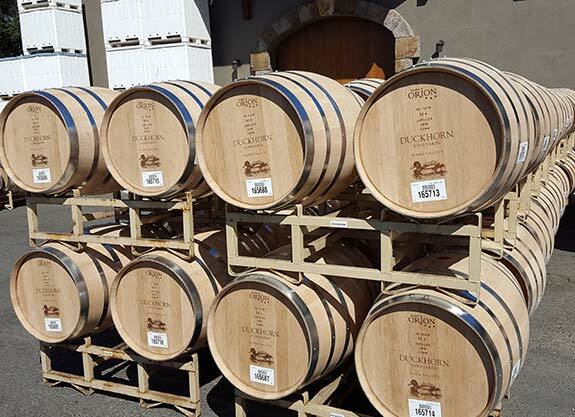 All of our barrels are French oak and carefully selected for how they complement our wines. Barrels are the incredible result of the hard work of a concatenation of growers, loggers, artisans, and teamsters. 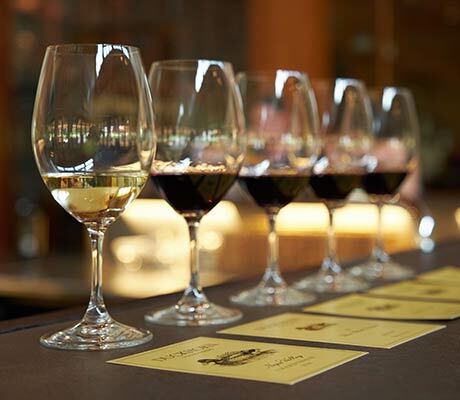 They are functional pieces of art, fitting together seamlessly to hold and age our precious wine for years. 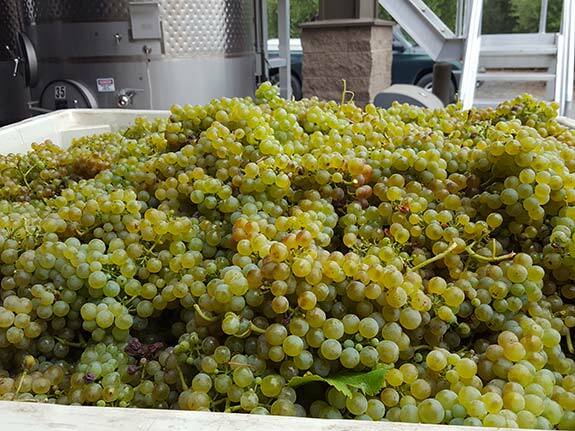 We started the Paraduxx harvest off with some estate Viognier. This noble varietal comes from obscure origins, though in modern wine terms it’s homeland is the Northern Rhone. It is the only allowed grape varietal in the famous Condrieu appellation, and makes lush white wines with wonderful exuberant aromatics of peach, pears, and violets whether grown in France, or the New World. It is also a staple of the Northern Rhone appellation of Cote Rotie, where it is co-fermented with Syrah. Despite the beauty of these wines, Viognier is not a widely planted grape. 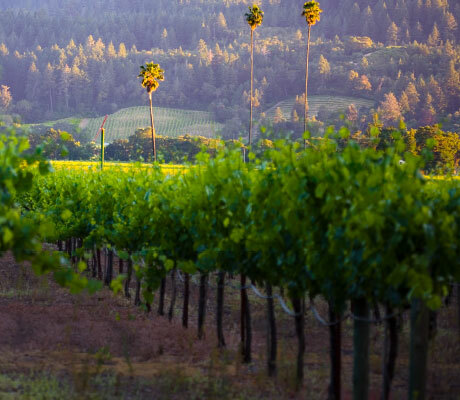 Paraduxx is one of the few wineries in California to use this exotic grape for both white wine production and co-fermented reds in our pursuit of innovative and bold blends. It is my pleasure to introduce our new Decoy Winemaker Tyson Wolf! 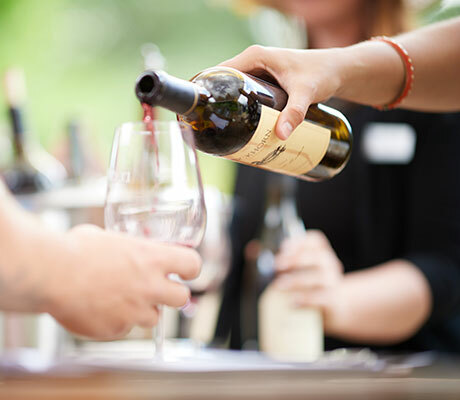 He comes to us with a broad set of experiences making wine from some of the best grapes in Sonoma and Napa Counties. In addition to being a talented winemaker, Tyson’s collaborative approach and calm demeanor will augment our already incredible Decoy team. In his role, Tyson will be responsible for crafting Decoy wines and overseeing winemaking at the winery. Welcome Tyson! One of the best things about being part of a winery is introducing the magic of harvest to my kids Lucca and Everly. 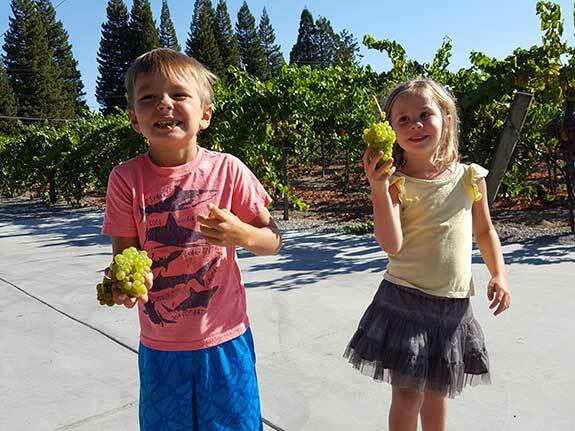 Every year since they were born they have spent some time at various wineries checking out cool machines, sitting on barrels, tasting juice, and of course, eating delicious grapes. Being able to show them where I go every day softens the blow of being gone so often during the harvest season, and hopefully inspires them to one day make winemaking a part of their lives (if they want! :)). Another first day of harvest, this time Migration has kicked off the season with the typical first pick of Bien Nacido Pinot Noir. This remarkable vineyard, located in Santa Maria, is known as the source of some of the best Pinot and Chard in California. Planted on the famous Tepusquet bench, it has a unique maritime climate and partially calcarious soil, a relative rarity in California, but common in the old world. As you can tell from the incredibly small yet perfectly formed clusters, these wines are intense, unique, and totally delicious. Bo and German are also looking intense and unique as they ponder the beginning of a long harvest.